With an infrastructure of more than 50,000 sq ft, Noida-based VVT Communications has a turnover of over Rs 40 crore. 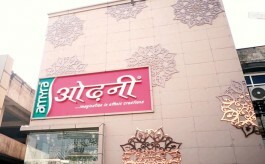 Over the years, the 24-year old company has built a reputation as a professional manufacturer of retail branding, automobile identity solutions, FMCG display ideas and way finding & corporate signs. Over the years the company has handled big projects and launches for its automobile clients and has a veritable list of 29 brands in its kitty, including P&G, Renault, US Polo, Jockey, Hero, Hyundai, Maruti Suzuki and Nissan among others. For technical and raw materials support, the company has a certification and preferred collaboration with companies like HP, Osram, 3M and 3A Composites. Vijay Chandna, Director, and Alok Hutchinson, Vice President of VVT Communications, spoke to Point of Purchase about the journey so far, how they are keeping pace with technological advancements in the industry and the kind of innovation that they are bringing to their offerings. Excerpts from the interview. You have been in this business for over 20 years. Tell us about your journey so far? Vijay Chandna: In the year 1994 I started my studio design. Soon after that I started with large format graphics printing. We started digital printing in 1995 and were probably only the second in Northern India to start large format graphics printing. Initially we provided solutions to lifestyle and white goods retailers. Later in the year 1999, I expanded my team and business and also shifted my focus to the corporate world, as we expected transformation in the retail industry. The RMC of the graphic production also started coming down and the volumes were increasing. That’s where industry pioneers like us saw an opportunity to break through in large volumes. After the introduction of eco solvent printing in early 2000’s the POP’s and customised display market also got a boost, resulting in cost effective displays with reasonable MOQs. Alok Hutchinson: In the year 2007, we transformed ourselves into a full-fledged fabrication company by setting up technical infrastructure. In 2008, we started manufacturing in-house signage, when signage was in huge demand. In 2011, when the retail market started becoming crowded with other signage companies, we took a step further and started in-house wood working signage, installed paint booth etc. Gradually we started catering to the automobile sector. We started manufacturing all kinds of display items. We as a company can produce any kind of display, whether it is in office, retail showroom, auto showroom, home and we make everything in-house, right from metal fabrication to acrylic. We are one of the very few companies, catering to many retail verticals. We also add electric components to displays. How would you define VVT Communication’s USP? Vijay Chandna: Apart from the deep knowledge base and a fantastic team, we possess and believe in a clear customer focused strategy to deliver best products and services. This means we go the extra mile in the support we offer, whether it is in terms of technical support, research or execution. Our company’s motto is ‘value addition through imagination’, which very clearly expresses what we do. If a client approaches us with a particular project, we try to add value at every stage by suggesting alternative media, materials, processes, or recommending scaling down or scaling up the quantity. We don’t take advantage of our clients; instead we try to build a relationship with them. This is why have been able to build long term relationships. For example, we have been working with Hyundai for the last 16 years and with Eicher for the last 8 years. What is your turnover and expected growth in the industry? Vijay Chandna: Our group turnover is Rs 40 plus crore and we target to grow by 20-30 per cent every year. How do you keep pace with the technological advancements in the industry? Tell us about the kind of innovation that you add to your products? 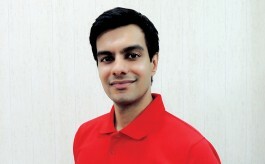 Alok Hutchison: Working with global brands and global vendors has given us good exposure and knowledge. We keep on visiting international events and trade fairs regularly to improve our knowledge and technology base. Also, our innovations in projects are driven as per client’s needs. If they have budget limitations but have to match global guidelines, we do value engineering to substitute raw materials and bring down the end price. For launch and display, we opt for conventional raw materials to make a different looking product. Can you share some strategic retail projects you have worked on? Alok Hutchison: The first project that we can think of is the Hero Motors Maestro and Duet launch. Twenty days before the launch, Hero wanted us to create a separate corner in the Hero showrooms to display their vehicles plus drive customer interactions. They basically wanted to highlight both the Maestro and Duet vehicles. So we created a modular 8/8 backdrop, which was transited all over India in a modular form. We also provided logistic support to them. We delivered the modular backdrop 5 days before the launch. What are the challenges you face in providing solutions to the retail industry? Vijay Chandna: Making customers, at least some of them, understand industry policy is a challenge. They don’t give importance to branded raw materials and their benefits. They only compare with the end product price of a low-quality product. Sometimes they even underestimate the duration of production or execution, due to which we have to bear indirect revenue and tech losses. In your opinion, are FMCG businesses driven by procurement agencies and are they adding any value to the businesses? Vijay Chandna: The core job of an agency is to give best design and strategically planned execution, but these days a few procurement agencies are indulging majorly into cost cutting (as the design is handled by the client) and compromising on industry standards. The fact is that raw materials are so versatile and technical that one can’t take the same approach with all of them. But these agencies insist that it hardly makes a difference to the final product look. They also end up neglecting product stability and life. I would say that they are basically only trying to squeeze us. Do you think the quality has dropped or has improved after procurement agencies have come into the picture? Vijay Chandna: It varies from case to case. Corporates with knowledge executives don’t always instruct the agency to get the cheapest vendor; instead they look for the best vendor with the best commercials. Tell us about your team and expertise? Vijay Chandna: I am blessed to have a fantastic team, one of the best in the industry I’d say and we are also technically sound. We have people with over 20 years of experience in the industry. 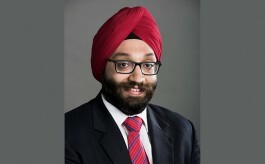 The core team comprises Sandeep Pahwa, Alok Hutchison and Ajesh Nagpal. Sandeep Pahwa, who is the CEO, comes from a rich background in exhibition and retail execution with special knowledge of modulating fixture furniture. Alok Hutchison, Vice President, has been with us for 20 years and has worked on multiple prestigious projects and roll-outs with considerable ease. Ajesh Nagpal, our Operations Head, comes from an engineering background with experience in LED displays and POP products creation. Overall, our entire team has contributed to the company. Essentially everyone knows their own responsibility and lives up to it and that has helped our growth.